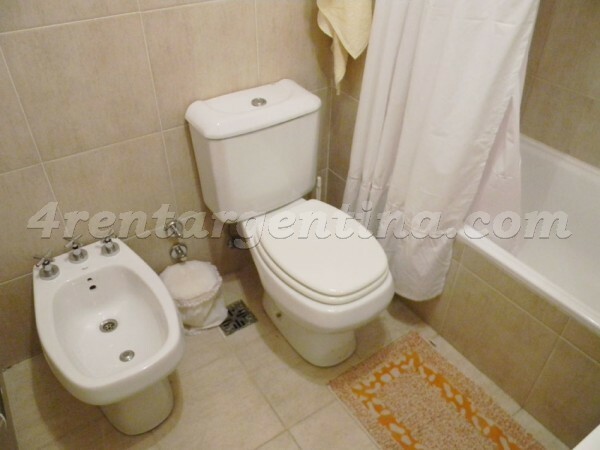 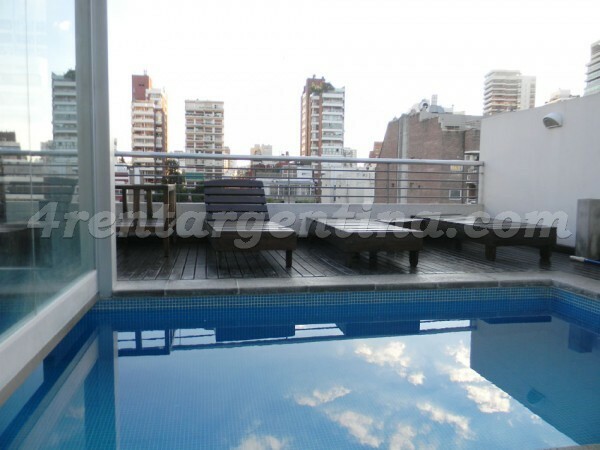 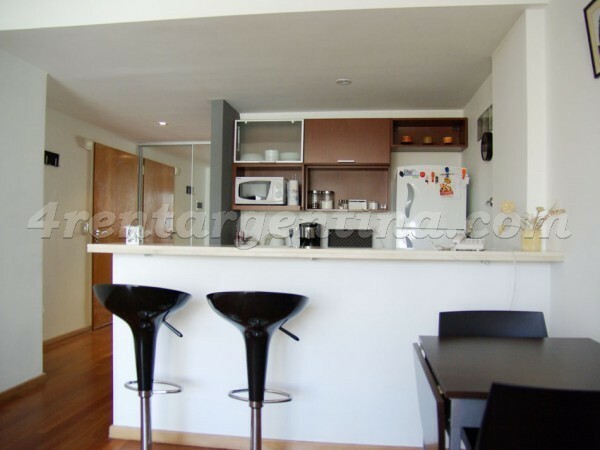 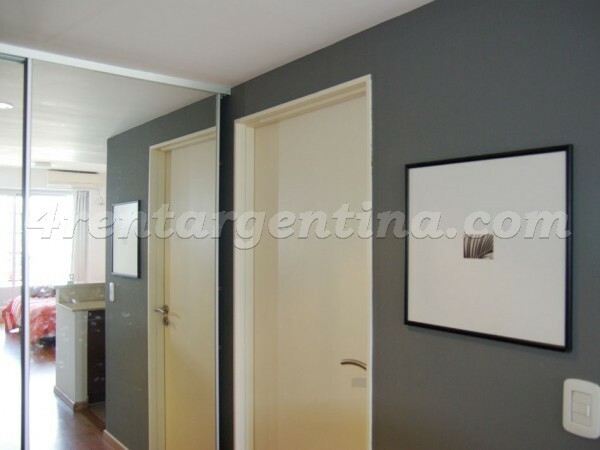 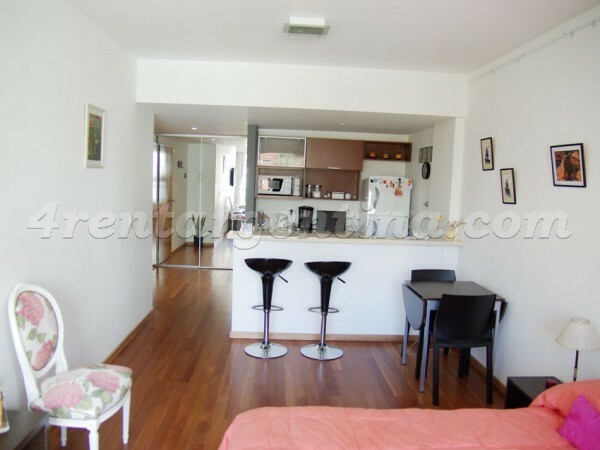 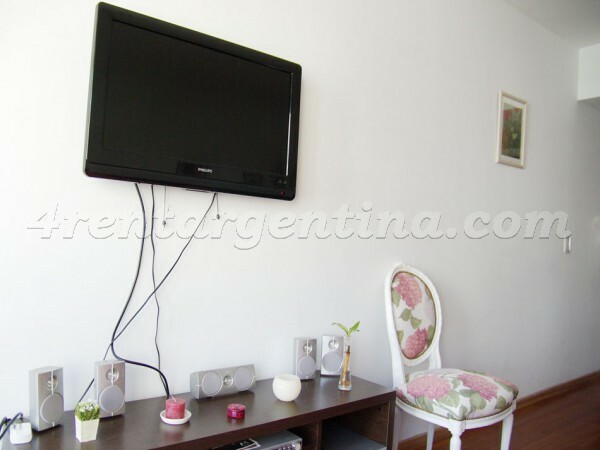 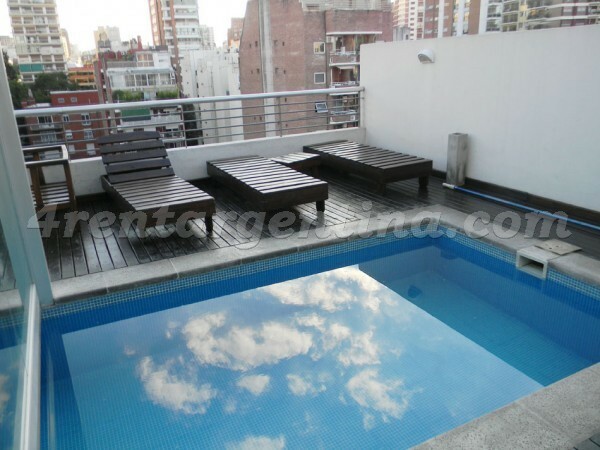 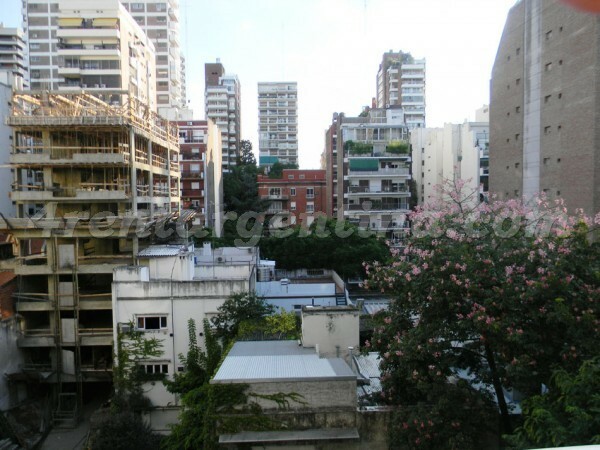 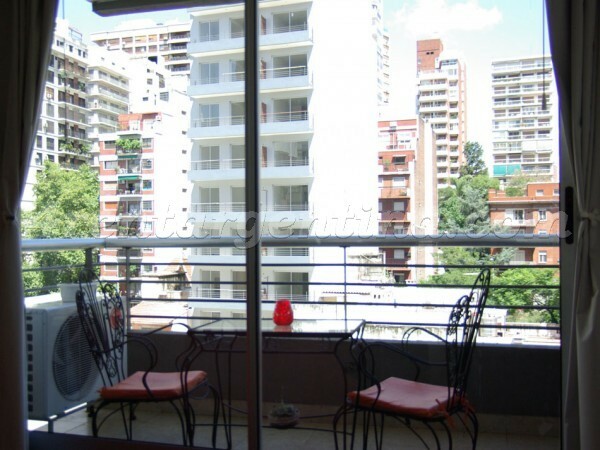 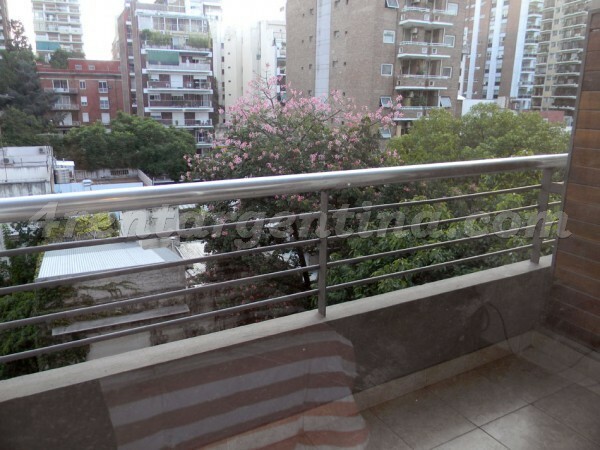 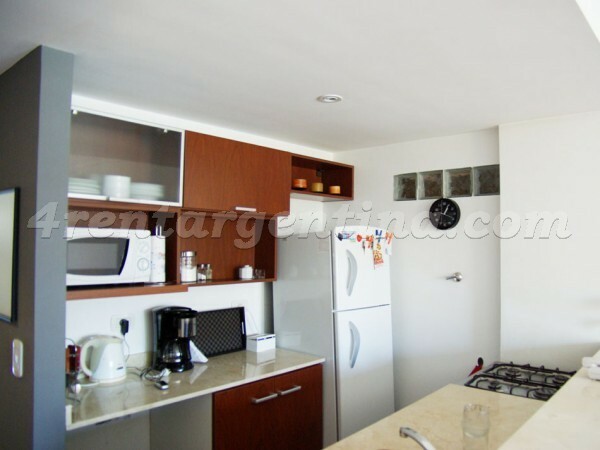 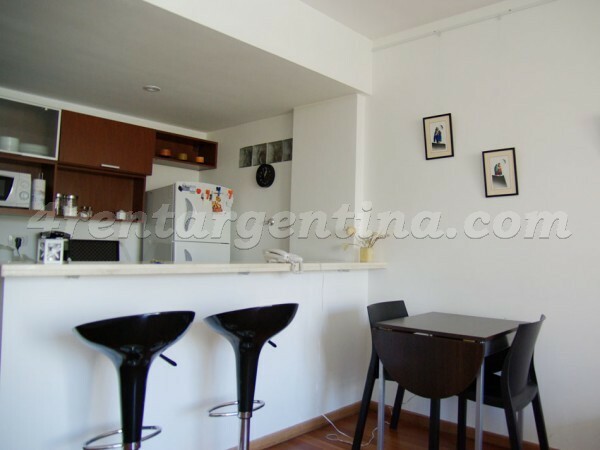 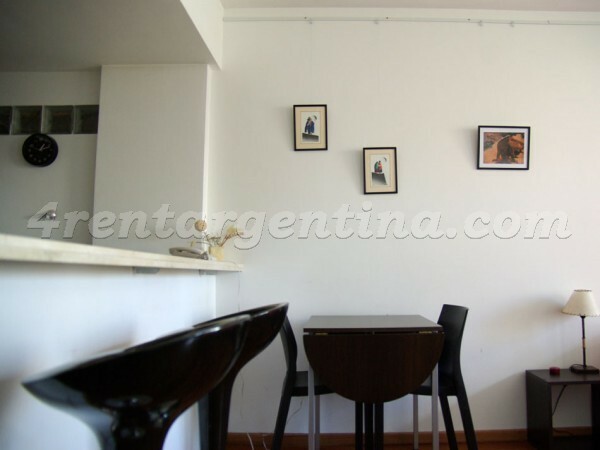 Excellent furnished apartment for temporary rent in Buenos Aires, located in Las Cañitas, only one block away from Libertador Avenue and Luis Maria Campos Avenue, and very close to the famous Palermo woods. 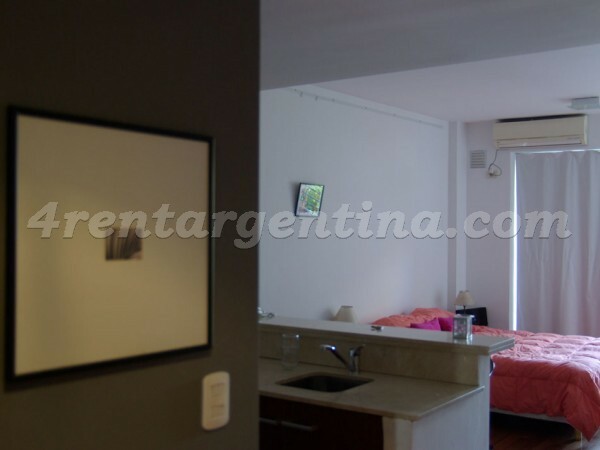 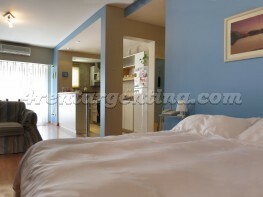 This comfortable studio is ideal for two people, features beautiful wooden floors, is very luminous thanks to its balcony and has everything you may need for a perfect stay in Buenos Aires: a double bed, a table with chairs, a fully-equipped kitchen and a full bathroom with tub. 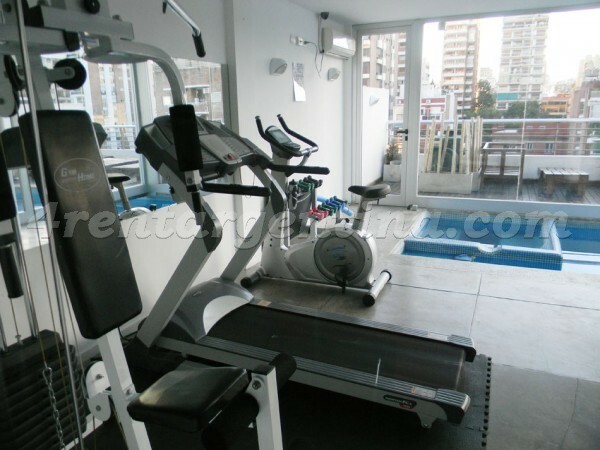 Besides, the building has a swimming pool, a gym, a solarium, a common room and a laundry.